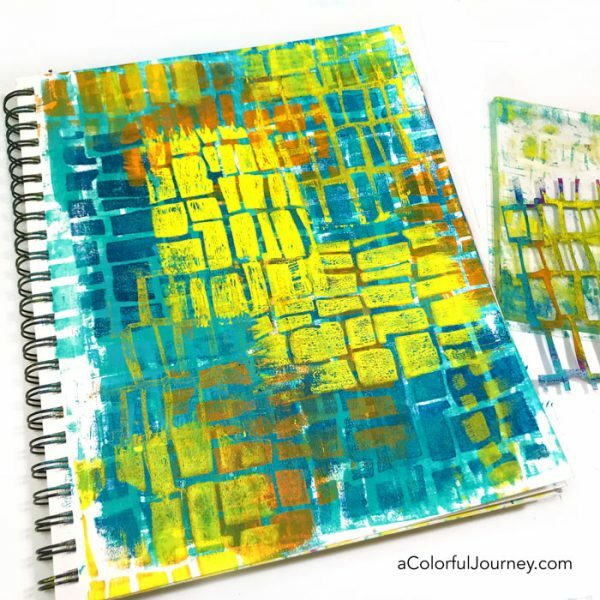 What is the “right” way to monoprint with a stencil? 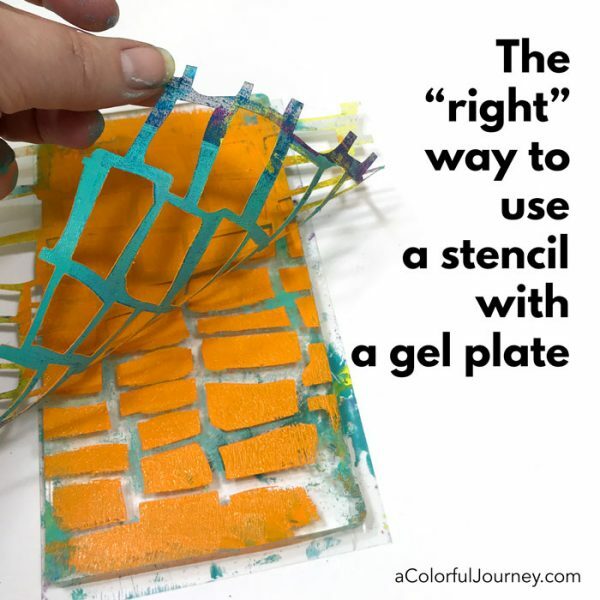 Do you put the paint on the gel plate first or do you put the stencil on first? 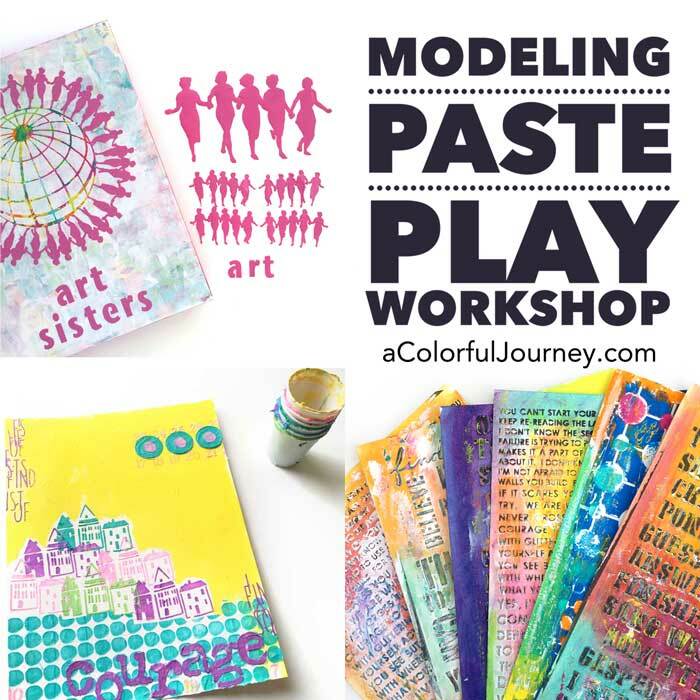 Both ways work wonderfully which means however you want to print with a stencil is the right way! What about the size of the stencil and gel plate? Does it matter? Nope. Both the stencil and the plate used are smaller than the art journal and it didn’t matter one bit. But it did lead to a good problem that I had at the end of the video. 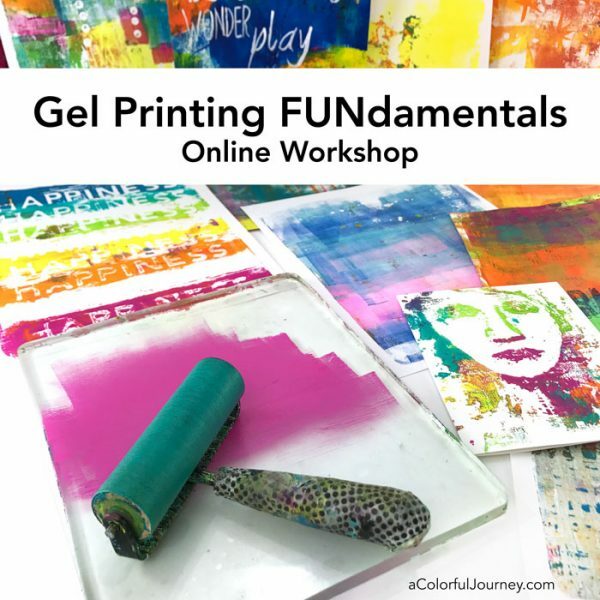 Here are the details for Gel Printing FUNdamentals mentioned in the video. Technique #1 You can put the paint on the plate and then put the stencil on top. 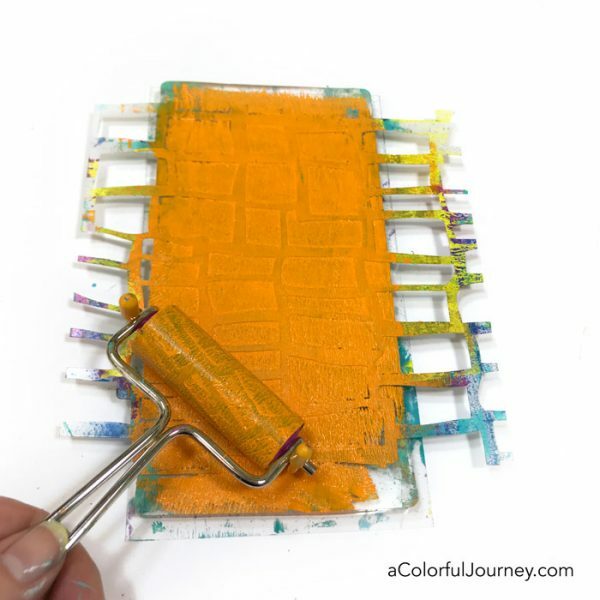 Leave the stencil on it and make a print. The stencil I am using was designed by Mary Beth Shaw and the plate is the middle size from the multi plate set by Ranger. Technique #2 Put the stencil on the plate first, then brayer paint over it. Yup, just roll that paint over the stencil. 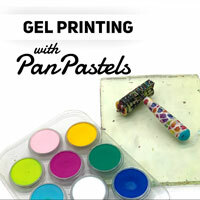 This time, lift off the stencil before you make a print. Do you have to take the stencil off? There aren’t any rules, nobody will report you to the authorities. You can do it any way you want! The layers built up until I was in love. When I get to that point where I just want to look at the print, I know to stop and enjoy it just as it is until the muse directs me to the next layer. 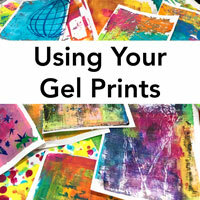 There’s no wrong way for how to make prints with a gel plate, but there are things if you know them, it makes it a lot easier to make prints you love. I call those the FUNdamentals – the foundational things that help you understand how and why the plate works the way it does. How can you figure out the FUNdamentals? 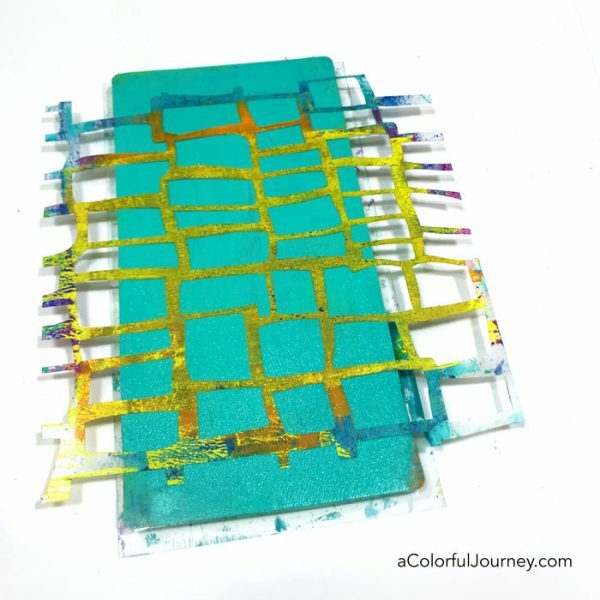 Trial and error and lots of time OR check out my workshop to skip all that frustration. Here are the supplies used. 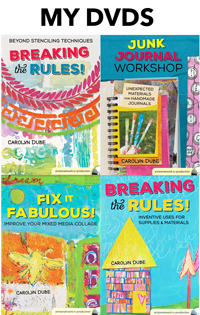 Some of these links are affiliate links which means I get a small percentage and it doesn’t cost you anything extra and it helps keep the free tutorials coming! Love this page, such great effect with minimal supplies. Must revisit printing. I love the layers – but I mostly love the simplicity of repeating the same pattern. 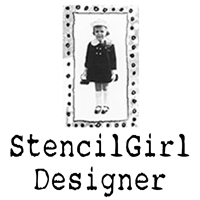 I think I get carried away sometimes and use too many stencils – tends towards a hot mess. 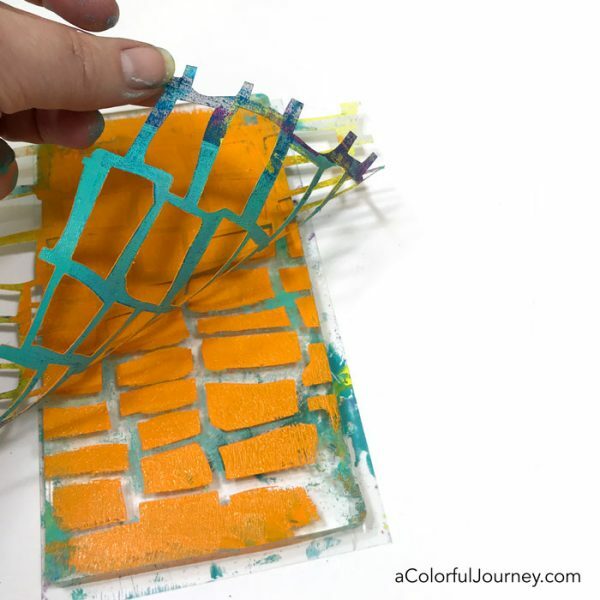 I’m going to try just using one stencil and see where it leads me. Thanks for the inspiration! I get so nervous when I go to do this. By the time I do the first layer. It does look very nice. I have spots where there is no paint. Thank You, so much for sharing this. I will be taking a class when I get back to working. Great and very helpful and avoiding mud! 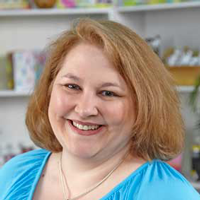 Hi Carolyn – ive seen your brayer on more than one occasion and thought you had a very snazzy handle – thinking it was a bespoke special I thought you were rather decadent. 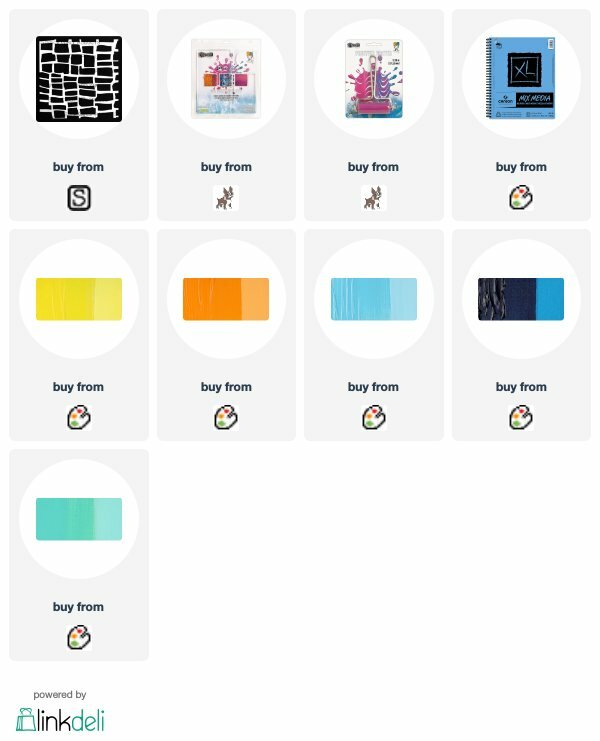 Then I open this and see a picture of your well loved brayer covered with washi tape……….I LOVE your use of other products. The page is brilliant – the colours remind me of school art lessons and our fun of those days when to paint students legs under the table was such a joke. I like the unstructured line and trapezoid shapes – the stencil layered over and again looks amazing with its pieces of white left as space. Im a girl who struggles not to cover every inch with paint. I do enjoy reading your blog , then watching and often I forget to comment – I will try to remember as its important to the maker and other watchers.